This project has been sitting around completed for a few months now, and I finally found the time and opportunity to test it. 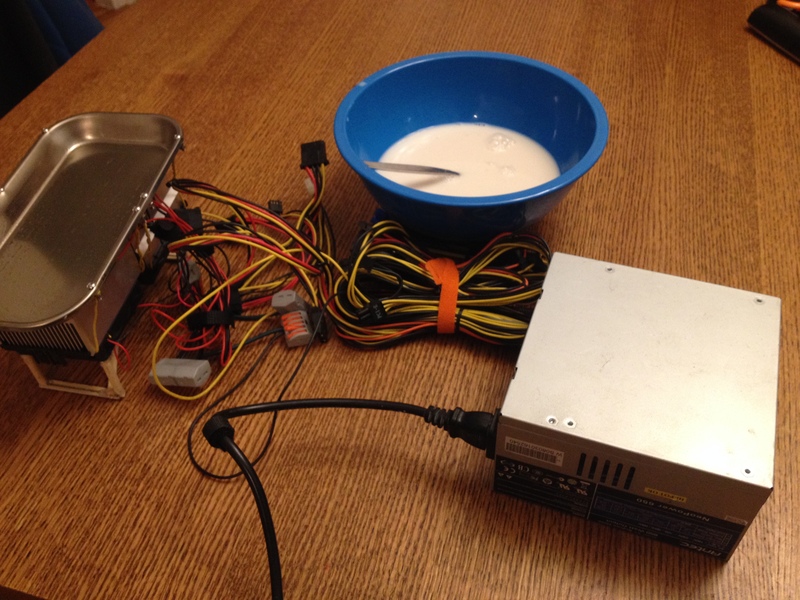 I used a few peltier elements to cool down a stainless steel tray, in order to try to make some ice cream on it. 12V computer power supply – at least 100W on 12V rail per peltier element is advised. 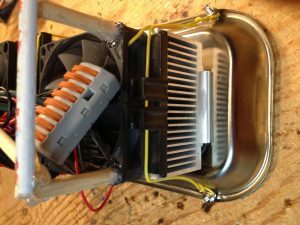 2 CPU heatsinks – any heat sinks are usable, but these are cheap and easily accessible in old computers. I had both already on hand when I started this project. 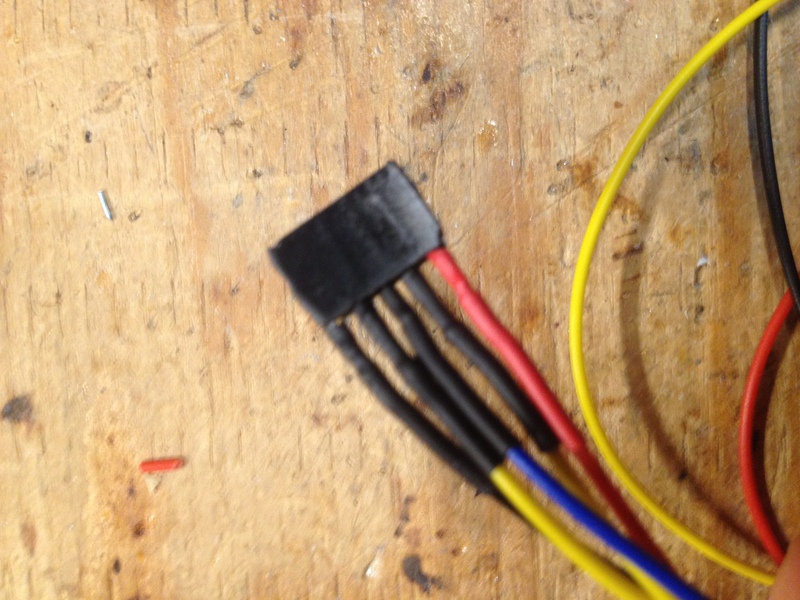 I used some cheap thermally conductive silicon glue to attach both the peltier elements and the heat sinks. 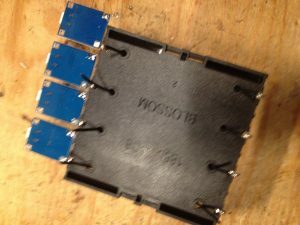 I just left them sitting with the weight of the aluminum heat sinks to hold them down, but it definitely would have been a good idea to clamp them down while the glue was drying so that there is less space between the peltier elements and the tray. To permanently hold everything in place, I contemplated designing and 3D printing a holder, but I was not too sure about the effects that a big temperature difference would have on it (brittle at one end, malleable at the other). 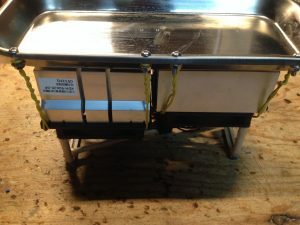 So, I drilled some holes in the tray, attached m3 screws and washers, then looped some solid core wire around them and over the heat sinks to hold them to the tray. A 3D printed mount would have been better, because it would allow for more pressure to be applied, but this was much quicker. I felt that designing a 3D Printed mount for this would take longer than it was worth, so I just used some wooden dowels and hot glued them to the fan shrouds on the heat sinks. 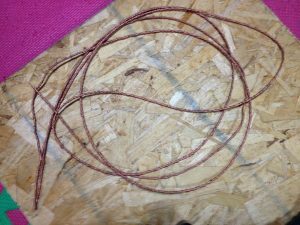 It ended up a little uneven – nothing that can’t be solved by adding a bit of extra hot glue to a few corners – but when you’re not accurately measuring anything, that can be expected. All 4 peltier elements, as well as both fans were connected in parallel with a wago style connector. To provide 12V power, I used an old 650W Antec computer power supply. 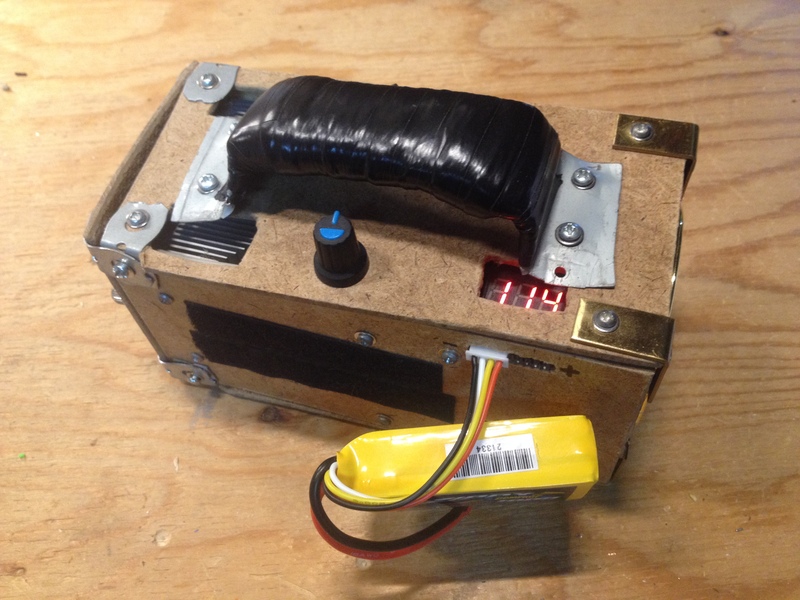 The 4 peltier elements draw almost 25A at 12V (300W), so they are not pushing this power supply to its limits. Computer power supplies are really the only solution I have found to power this, as it uses so much power. As you might have been able to tell from the title, this did not work as well as I had expected it to. It only really got cold in one spot, just above one of the peltier elements, the rest of the ice cream mixture hardly changed from its original liquid state at all. It took almost 20 minutes to make one spoonful of ice cream. 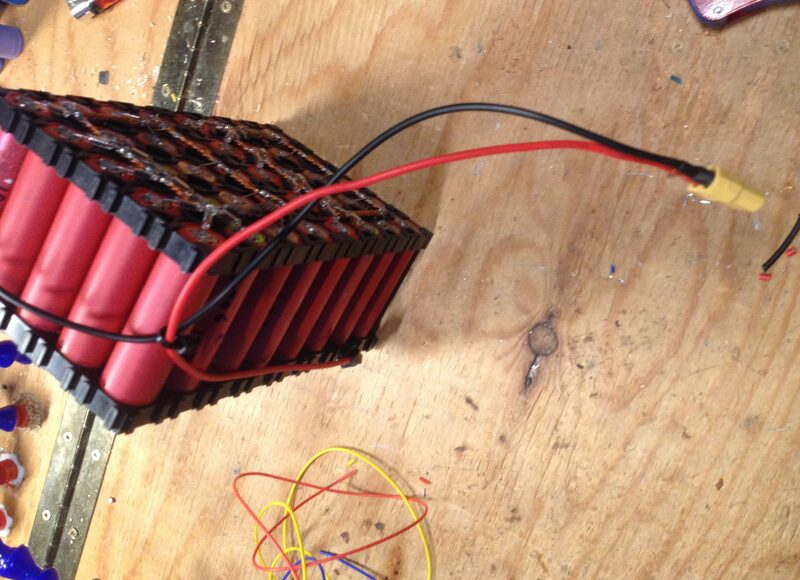 Using more peltier elements is definitely a must if you plan on building one. That way, it should get much colder and might actually be useful. 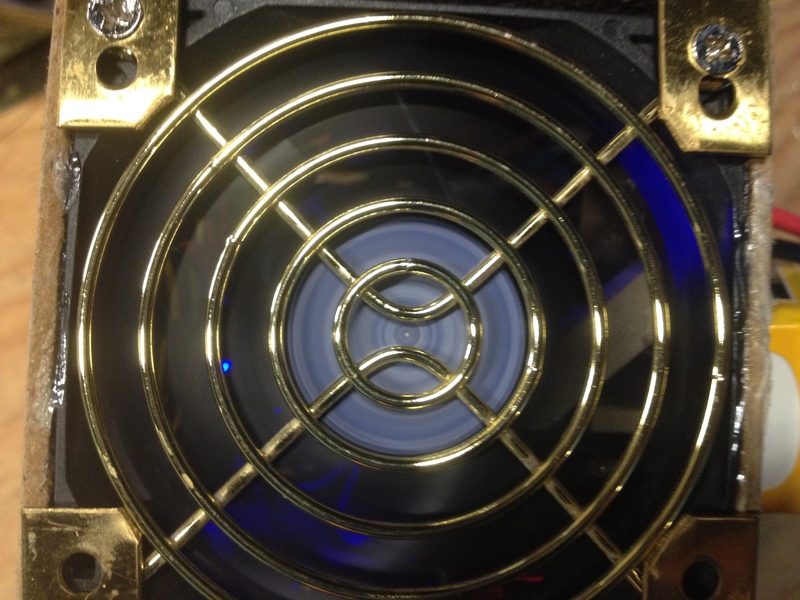 If, or when, I do this again, I would also use some more substantial heat sinks, and mount them properly with screws to hold them down tightly. 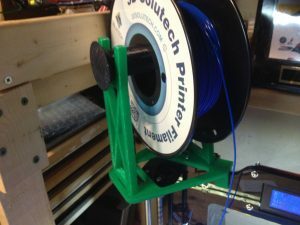 For the last 2 years or so since getting and building my 3D Printer (a Prusa i3 style clone from China), I have always used the spool holder that came with it. That was not ideal, as it took up space on my shelf to the side of the printer. It also took a lot longer than should be necessary to change filament, and it only easily took regular sized spools – some of the ones I have are wider than usual. 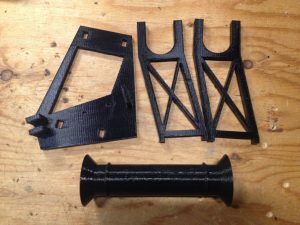 I looked for designs of spool holders on thingiverse, but none of the ones I could find matched what I wanted, so I designed my own. I wanted it to take up as little room as possible, and it could not be mounted to the center of the top acrylic piece like most other designs do because it would be too tall, and would interfere with the hockey equipment above it. I opted to attach it to the top left of the printer as shown. 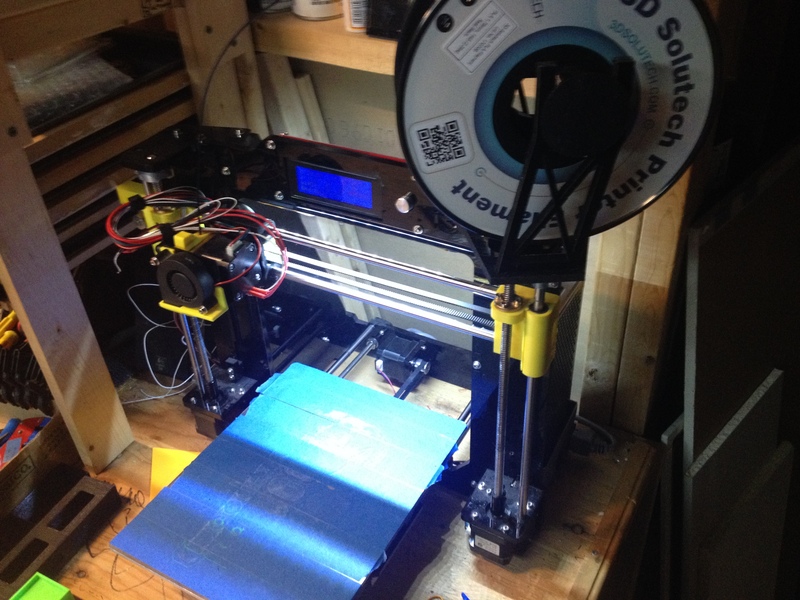 This spool holder is entirely 3D Printed – no metal rods or bearings necessary. I still have to make a few changes to the design to minimize print time and add a bit more strength. I have uploaded the STL files to Thingiverse. They can be found here. 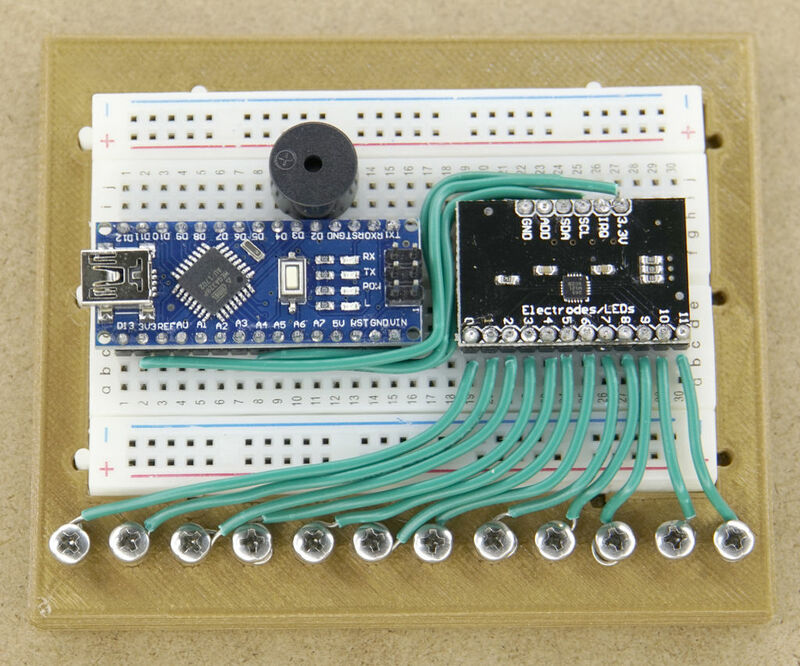 I made this touch sensor piano as a simple project to introduce beginners to Arduinos. 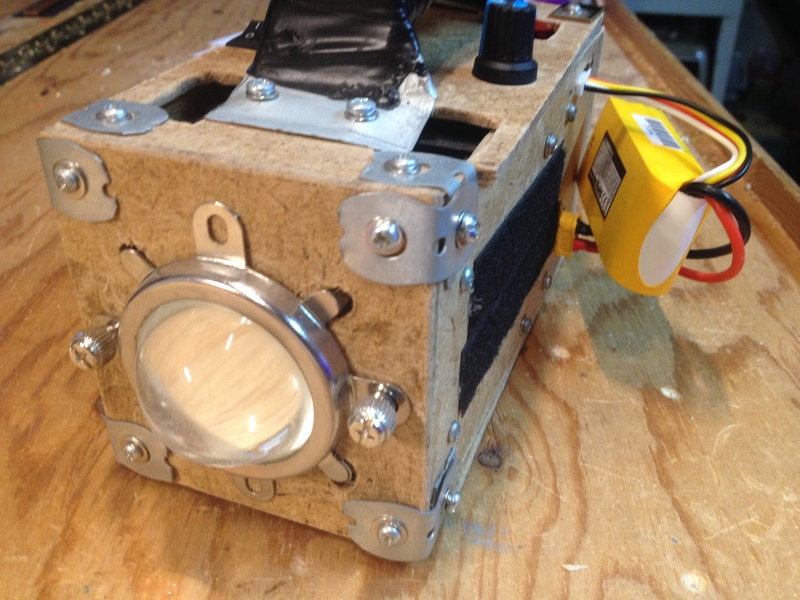 Check out the full build instructions on my Instructables page. 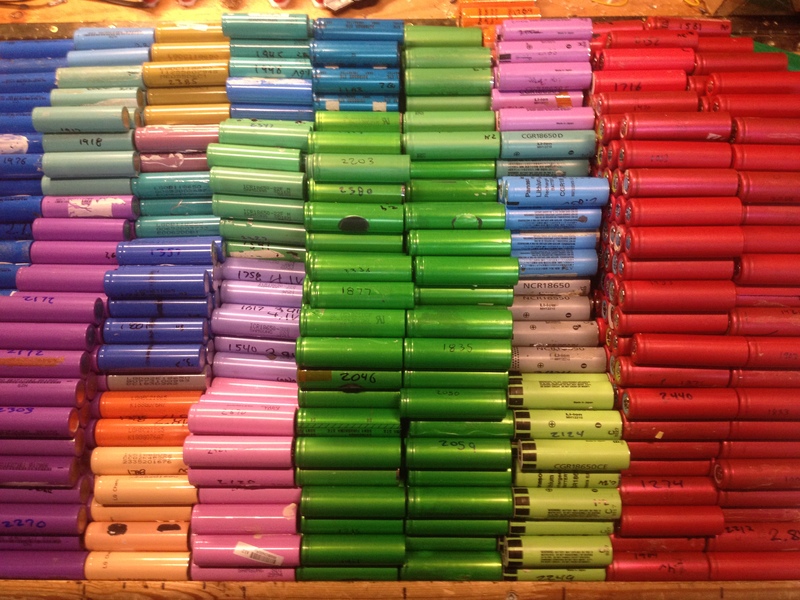 For the past year or so, I have been collecting laptop batteries and processing and sorting the 18650 cells inside. My laptop is getting old now, with a 2dn gen i7, it eats power, so I needed something to charge it on the go, though carrying this battery around is definitely not ideal. 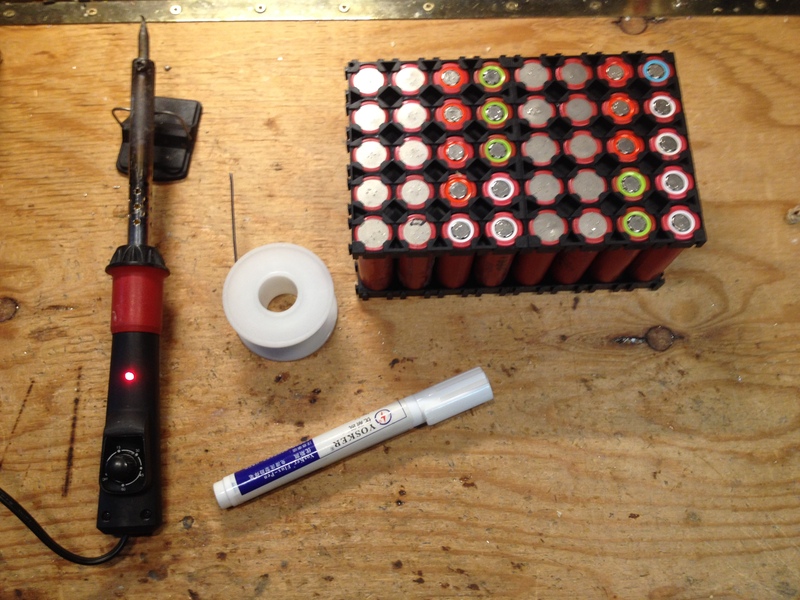 Now that I've made it, I also use it a ton to power my soldering iron, a hakko T12 clone kit from Aliexpress. I rarely use the computer power supply on my workbench anymore, and just use this 4S 10P battery. 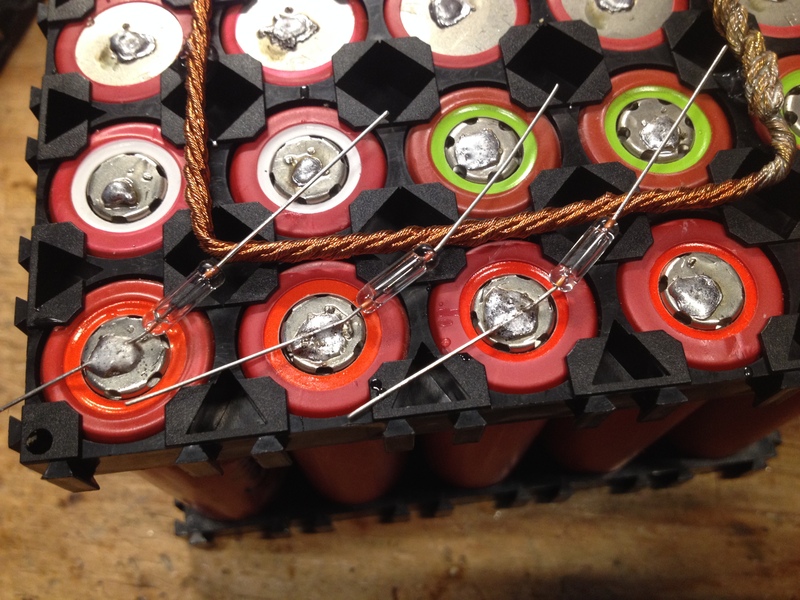 All the cells I used in this battery have been tested in my 76 cell charging and testing station. 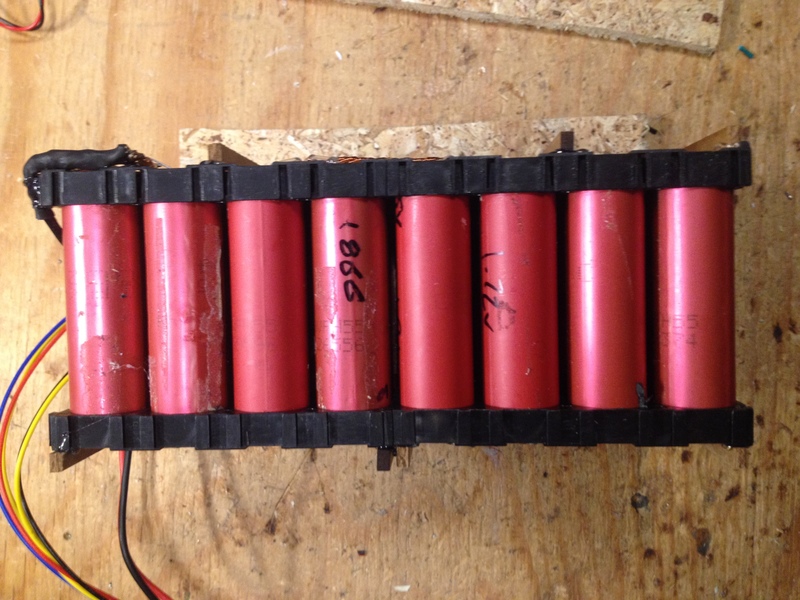 This was the first pack I made, so I used red Sanyo cells in the 1900-2000mah range to save the better cells for other projects coming up - I'm thinking an e-bike and small powerwall or portable power station. This pack is 4S 10P, 40 cells in total. The bus bars for this pack are made from 4 pieces of 20AWG wire from old Christmas lights, twisted together with a clamp and a cordless drill. 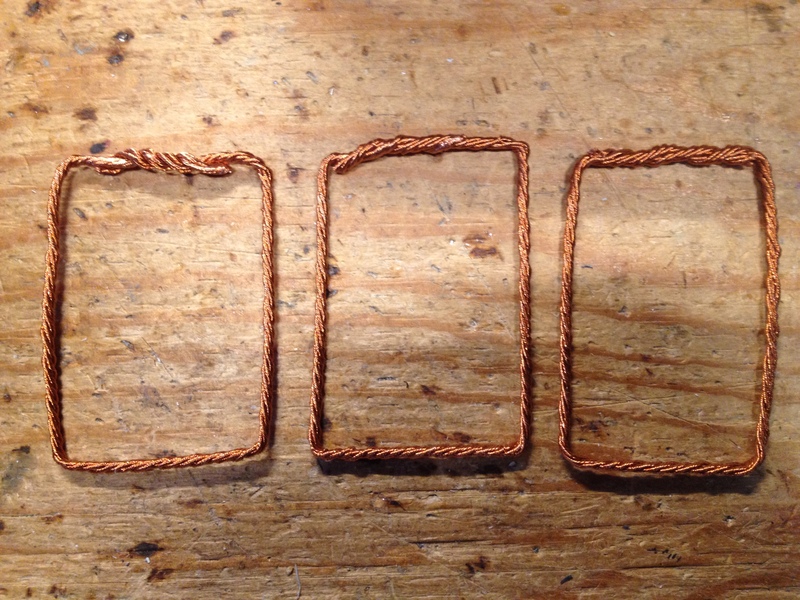 I made three rectangles to connect the cells in series, and two straight bus bars for the positive and negative connections. 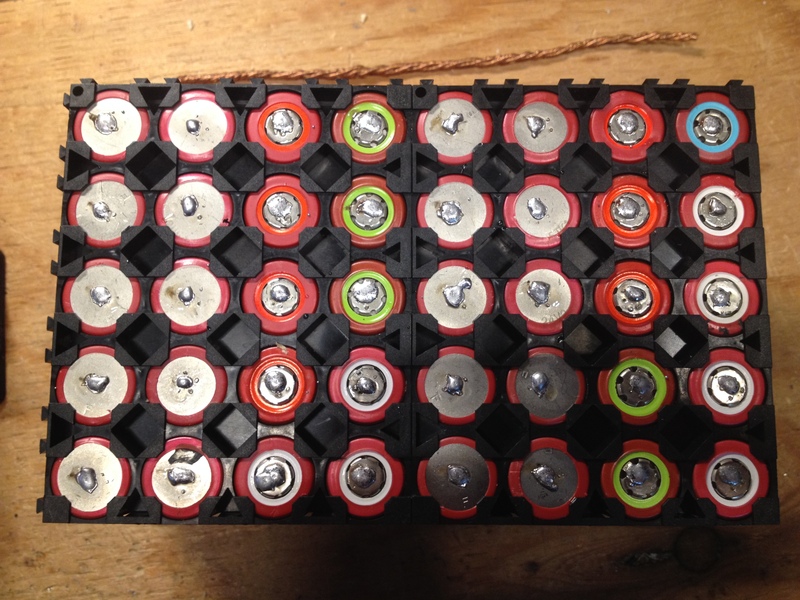 After putting all the batteries into 4 4x5 cell holders, 2 on top and 2 on bottom, I used a flux pen to add flux to all the cells. 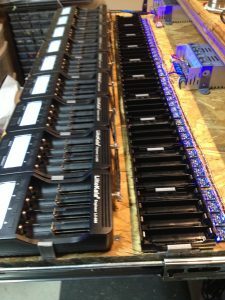 Soldering to 18650 cells is perfectly fine, as long is it is done quickly. Don't hold the soldering iron on the cells for more than 2 or 3 seconds. I use a 60W Nexxtech soldering iron. It takes almost 10 minutes to heat up, but it works great. 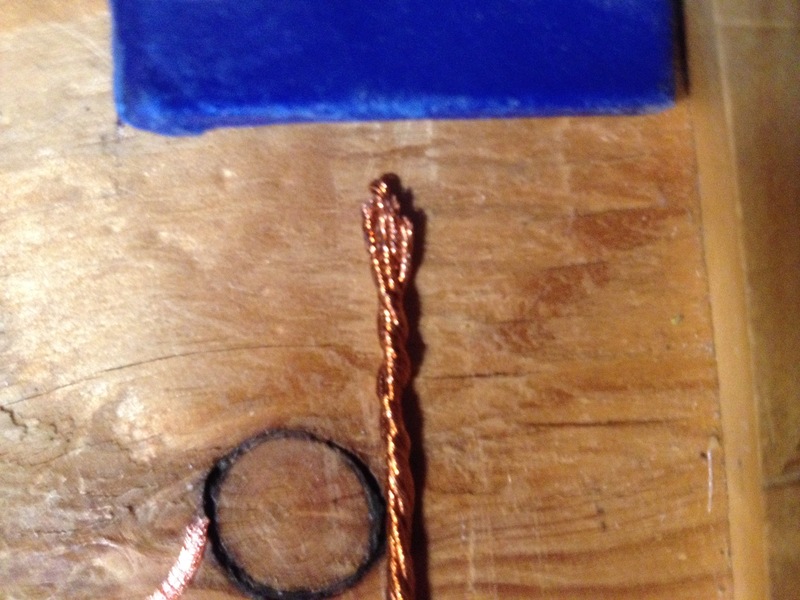 Just add a small dot of solder on both end of each cell. 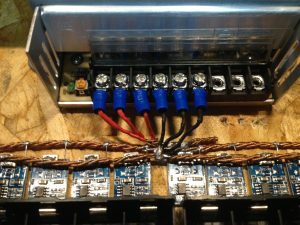 I used 2A Glass Axial fuses on all the positive ends of the cells to connect to the bus bars. Given that these are not amazing cells, 2A each might be pushing them, but 1A fuses would be enough. 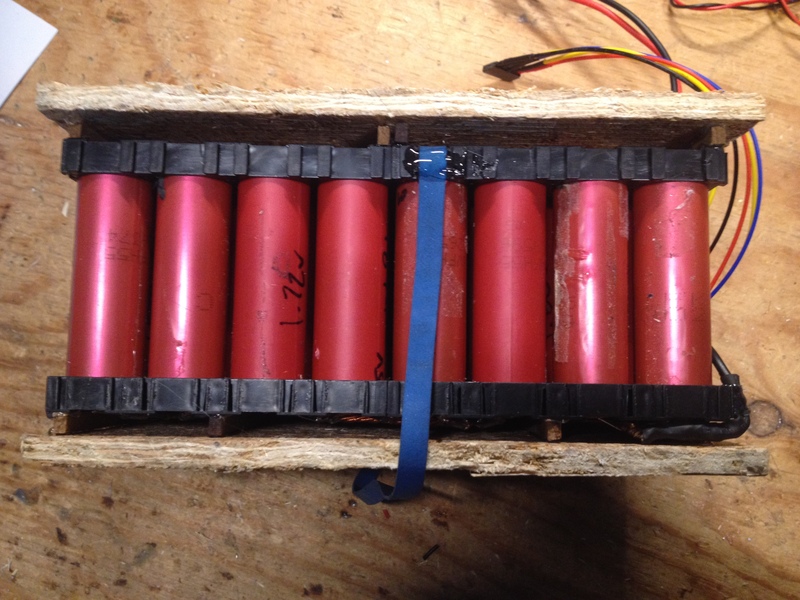 I need this battery to be able to provide over 200W continuous, so using 1A fuses would not have been suitable. 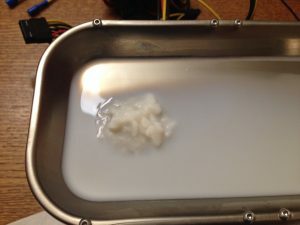 For the positive ends of the cells, I used a fuse to connect them to the bus bars, and on the negative end, I used resistor legs. 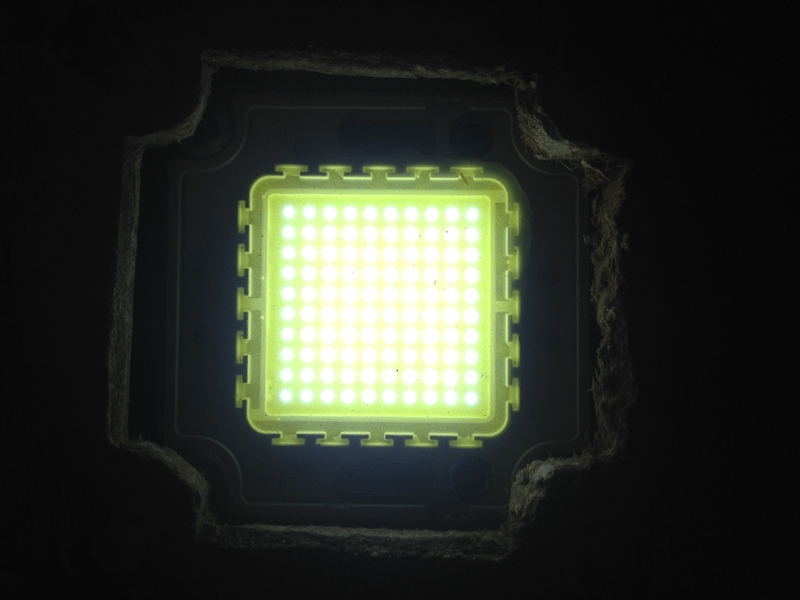 This pack can output a maximum of 20A continuous, so an XT60 can handle the current easily. Positive to positive and negative to negative connected with 16AWG wire and some 3mm heat shrink, which according to this chart, can handle 20amps, and with only about 1% voltage drop, which is perfectly acceptable. I did not have a 5 pin JST connector on hand for the balance connector, so I used a regular female pin header cut to 5 pins. It has the same pitch, so it is perfectly compatible, but it can be plugged in backwards, which can be dangerous - direct short circuit. 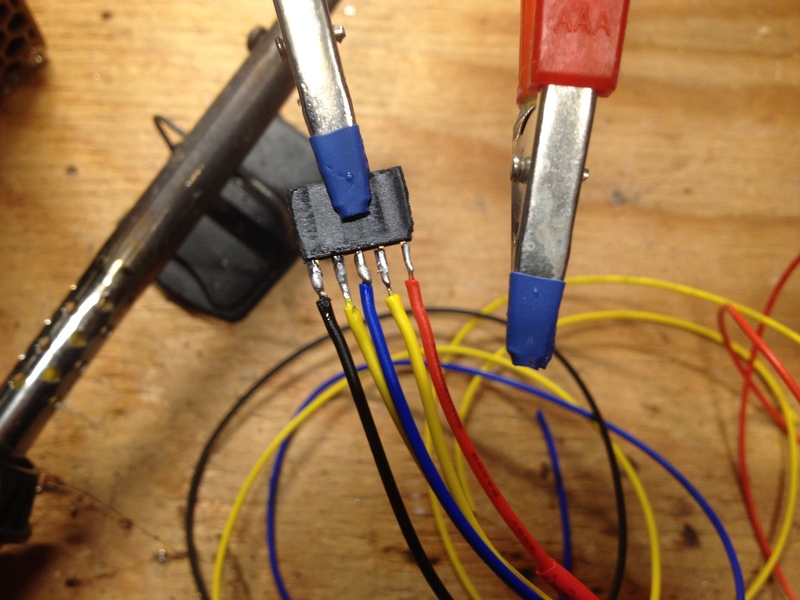 I used 24AWG stranded wire for the balance cables and 1.5mm black and red heat shrink to label the positive and negative ends. I hot glued all the power and balance cables to the battery, leaving them as long as possible, but still securing every one. 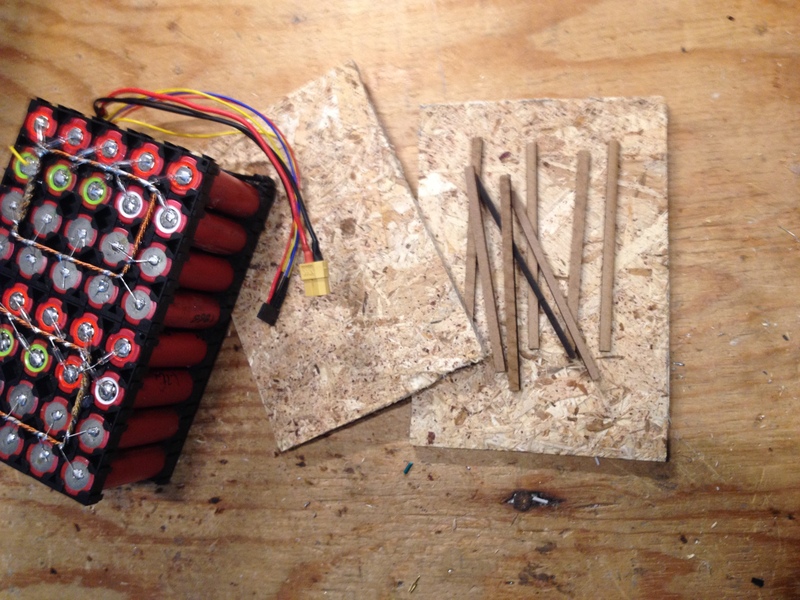 2 pieces of plywood were cut slightly bigger than battery to protect the connections. 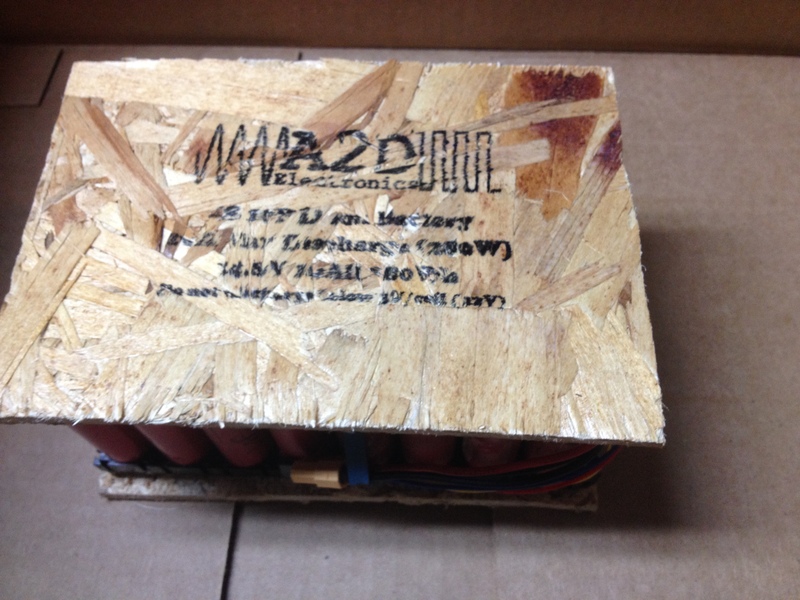 Pieces of 5mm MDF were used as standoffs between the battery and the plywood so that there is no direct pressure on the connections to the fuses and bus bars. 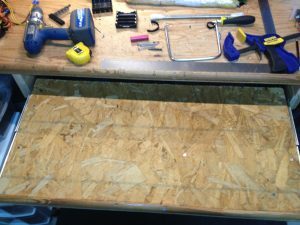 I sealed all the edges of the plywood (or chip board) with duct tape so that the edges do not fray or break in transport. I added my logo to the top of the plywood by printing it out mirrored on a sheet of sticky labels with the labels peeled off. The printer must be an inkjet printer, a laser printer will not work for this, as the ink (not toner) will not be absorbed into the label sticker backing, and will come off easily when pressed against the plywood. 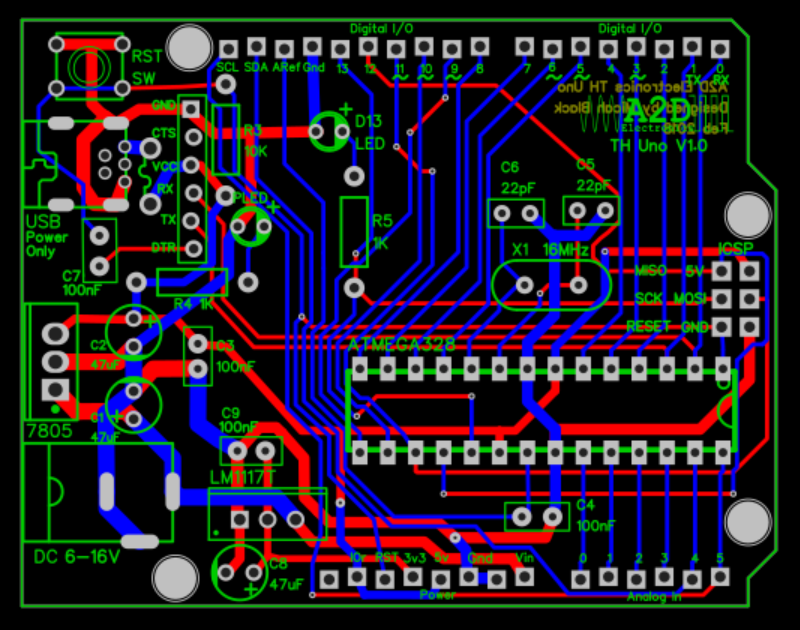 The writing did not come out as I had hoped, but that is due to the inconsistencies in the chip board. I finally sealed the ink in with a quick coat of clear acrylic spray paint. 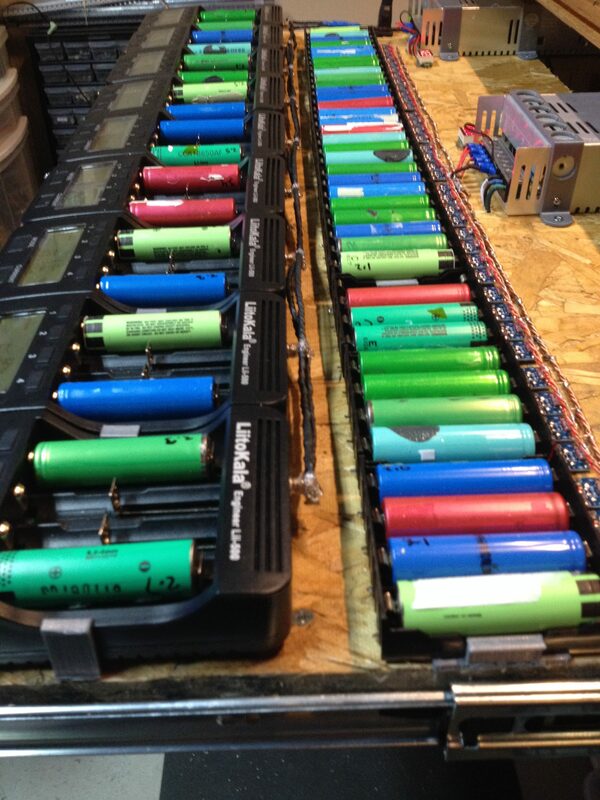 For the past year or so, I have been testing 18650 Lithium-ion cells from recycled batteries in order to re-use them to power my projects. 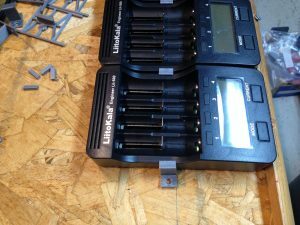 I started out testing the cells individually with an iMax B6, then got a few Liitokalaa Lii-500 testers and some TP4056 modules for charging, but the testing still took way too long for my liking. 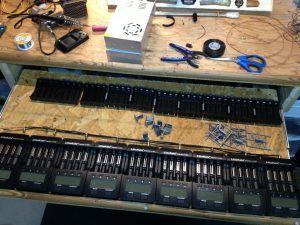 This project has been a long anticipated one for me, and I am now able to test 36 cells and charge 40 cells simultaneously. A fair amount of people in the community of people re-using laptop batteries use the OPUS BTC3100 testers, but those were a little expensive for me. 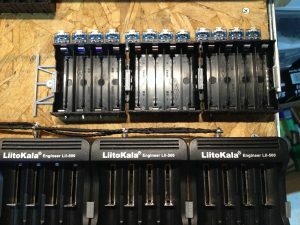 When I found the Liitokalaa Lii-500 testers for under $20 each on Aliexpress, I ordered 6 more to complement the 3 I already had, as well as 50 TP4056 chargers, and some 4 cells holders. The power supplies I used were from Aliexpress as well – 12V 30A and 5V 60A, but a better option would have been to used server power supplies. I’m sure that almost everyone that has a basement lab is looking for every way possible to get more space, so using up a ton of desk space with a charging and testing station is not ideal. Such is the case for me, so I decided to make my testing station a sliding drawer underneath my desk. Building this was fairly straightforward, but required a lot of time. I designed some 3D printed clips to hold the 10 4 cell holders and the 9 Liitokalaa Lii-500s to the plywood that I used as the base. 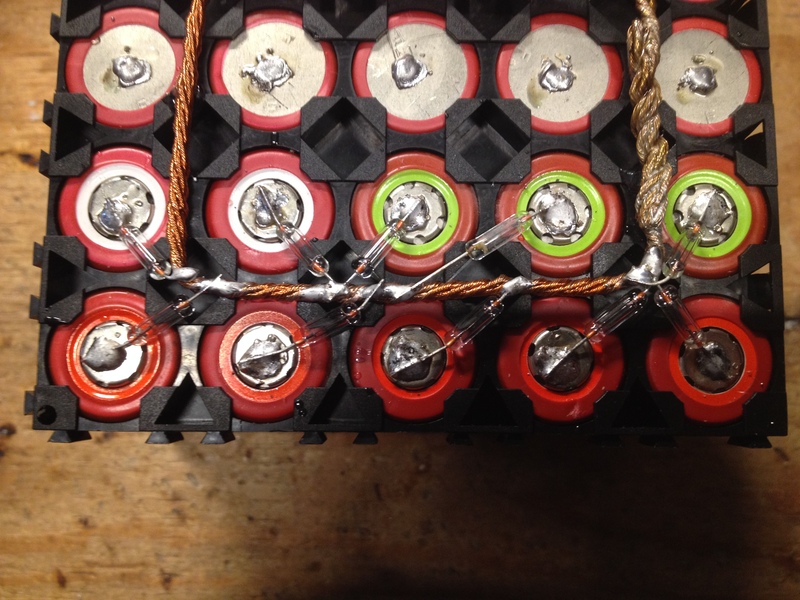 I connected the BAT+ pad on the TP4056 modules directly to the cell holders, and ran wire through the holes in the battery holder to connect the other end to BAT-. This was a very elegant solution, and only required 1 wire per slot, 40 in total. Power lines for the TP4056s and Lii-500s were made out of 3 x 18AWG wire from old Christmas light string. I stripped the insulation, and twisted them all together using a clamp and a cordless drill. I lined up the positive wire just in front of the TP4056s, and the negative wire was connected directly to the USB ports, which are grounded. To connect the 5V line to the IN+ pad of the TP4056s, I used leftover resistor legs, which were the perfect length. Connecting 12V power to the Liitokalaa chargers was done with the same Christmas light wire, as well as some DC barrel connectors, and plenty of 3mm heat shrink to protect against shorts. Moving on to the AC wiring for the power supplies, I got a fused power socket with a switch, and connected it to each of the power supplies. 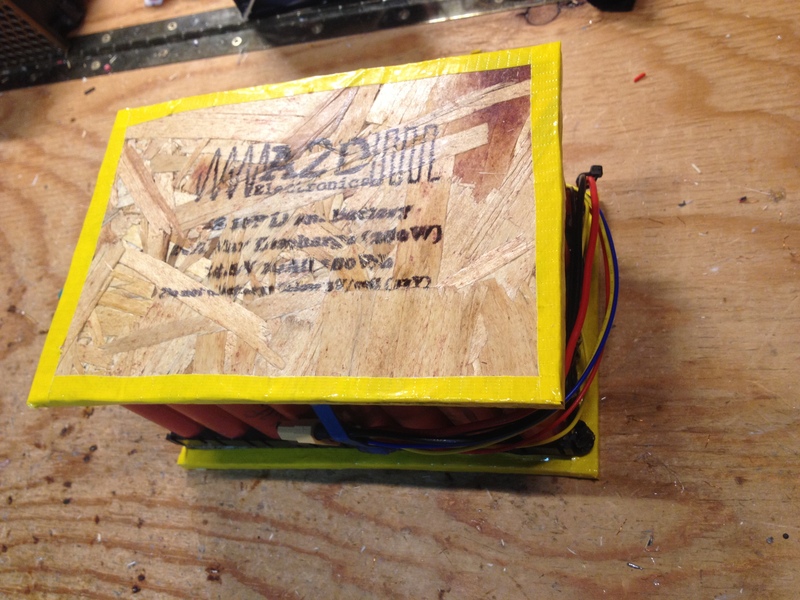 All the AC wiring is done on the underside of the plywood, and is secured using some 3D printed cable clips, printed out on my i3 style printer. I attached the power supplies to the board using 3D Printed brackets. 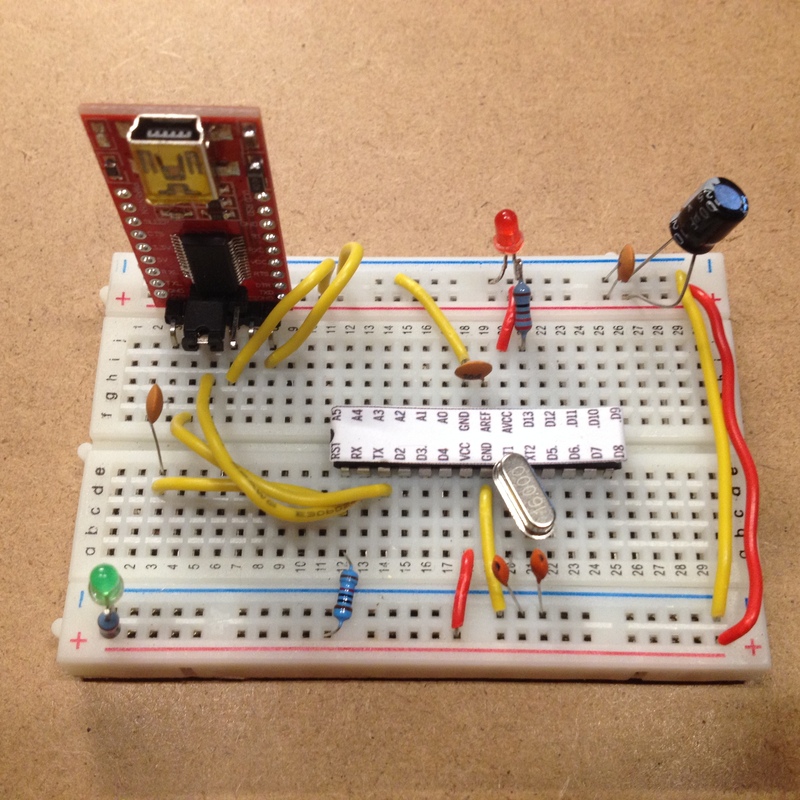 A small voltmeter was added to the 5V and 12V power supplies for a quick check of the voltage. After plugging in the power cable and turning on the switch, everything worked great! One thing that I noticed as I was charging 18650 with these TP4056 modules was that they got pretty hot (too hot to touch) at the CC part of the charging curve. I started by adding some small 8x8mm heat sinks to the TP4056 chips, and then adjusted the output of the 5V power supply as low as it could go. In this case, it was 4.9V. Now, they never get too hot to touch. I have been asked a few times about makerspaces / hackerspaces in Ottawa, so here is a list of the ones I know of. Located at the University of Ottawa, this makerspace has 3D Printers, a Laser Cutter, soldering irons, and many other tools. It is open to the public on Sundays from 11am-5pm. Just show up and use them if they are not in use. This one has 3D Printers and a few laser cutters that can be booked via the Ottawa Library website. You need to book the equipment in order to use it. Has regular meetups on Wednesday nights. See their website for more details. This group changes locations that they meet. Check out their website for current details. 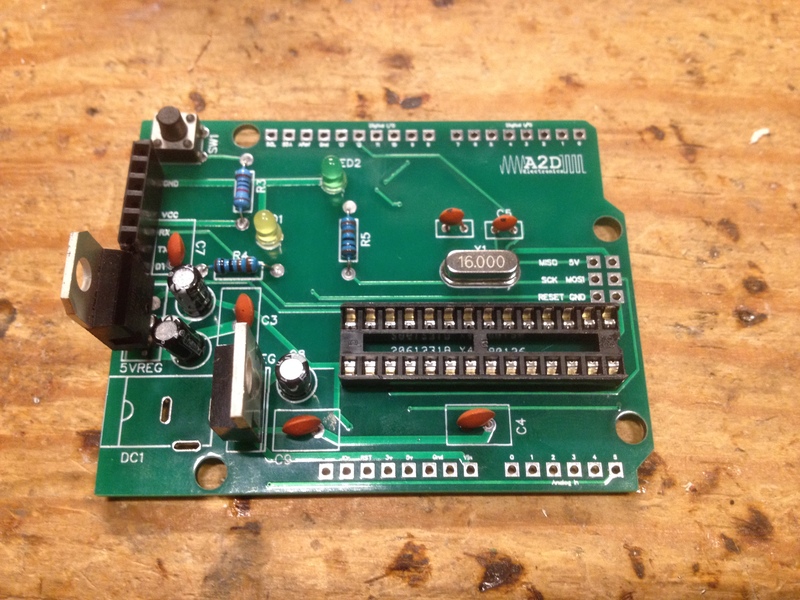 Drivers for the Arduino clones that use the CH340 USB to Serial chip can be found below. Install the drivers before plugging in the Arduino. Unzip it and run the installer. Then plug in the Arduino, and it should be recognized. It may take a few minutes though. 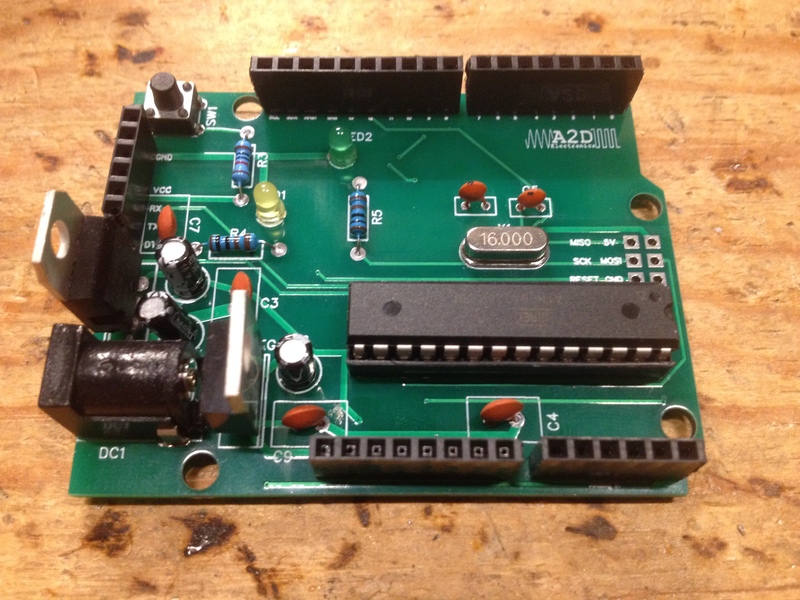 You may need to restart the Arduino IDE to be able to select the appropriate COM port.